February is the month that we celebrate our beloved foundress, Mother Luisita. Her mission lives on at Marycrest. She was a compassionate woman whose heart was overflowing with love for the poor and sick in her midst. Laboring for the most vulnerable in our community is just one of the ways that we continue her mission here and now. We celebrate her memory annually and invite all of our staff, residents, and families to partake in the activities you can see through the images captured here. Festive mariachis kicked off the 2018 Mother Luisita Week at Marycrest Manor. This week was truly filled with moments of solemnity and joy as we celebrated our beloved foundress, Mother Luisita. Delicious treats and sweets were given to staff as they correctly answered questions about the life of Mother Luisita, and there was even a Jeopardy game held for the residents with root beer floats. A festive Mexican Fiesta was prepared for lunch midweek and staff and residents were invited to dance in traditional folkloric style. All joined in the fun throughout each event! With great solemnity our staff received the blessing of the hands from our chaplain, Fr. Al Koppes, so to strengthen their hearts to continue to serve those most vulnerable in our midst. 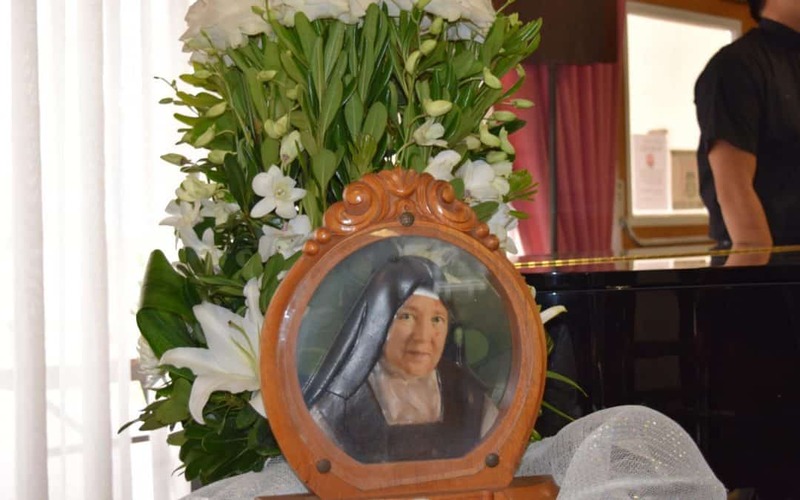 The final day of the week ended on the world day of the sick, February 11th, which is also the anniversary of death of Mother Luisita. We were blessed to have the presence of the local Jesuit novice director and novices join us for Holy Mass and a procession to the grotto of our Lady of Lourdes in anticipation of this great day. These events are just a small portion of the love and service rendered to our residents each day at Marycrest. We carry on the tradition passed on to us by our dear Mother Luisita and celebrate her with joyful hearts!